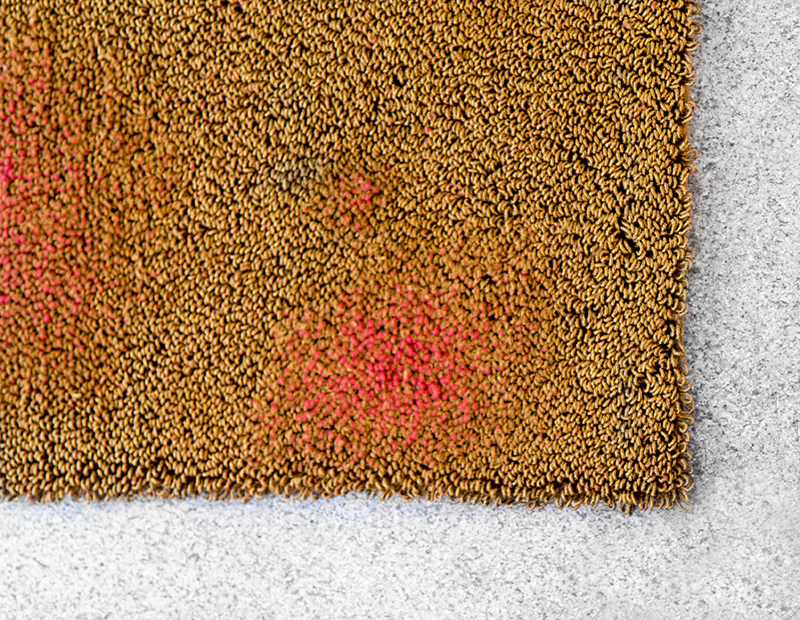 Track marks, flattened fibers, wear and tear; reasons enough to banish a rug to the waste bin. This does not apply to the Ripening Rugs by Adrianus Kundert. 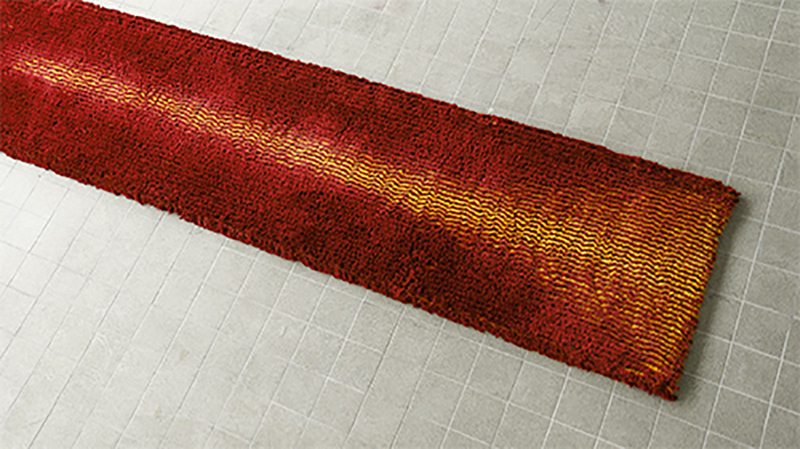 This special collection of rugs will only get more beautiful in use, the more the better. The singularity of the rugs is in the yarns used. 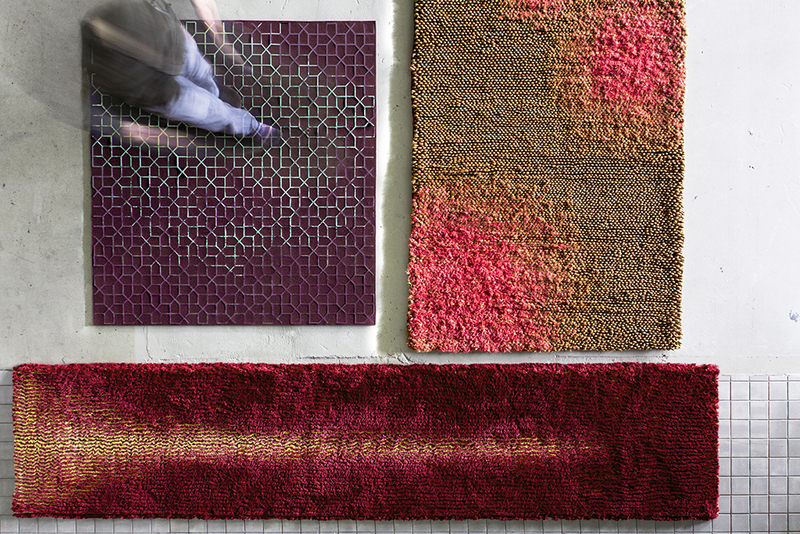 Together with the TextielLab and companies such as Carpetsign, Kundert designed and developed new techniques and yarns. 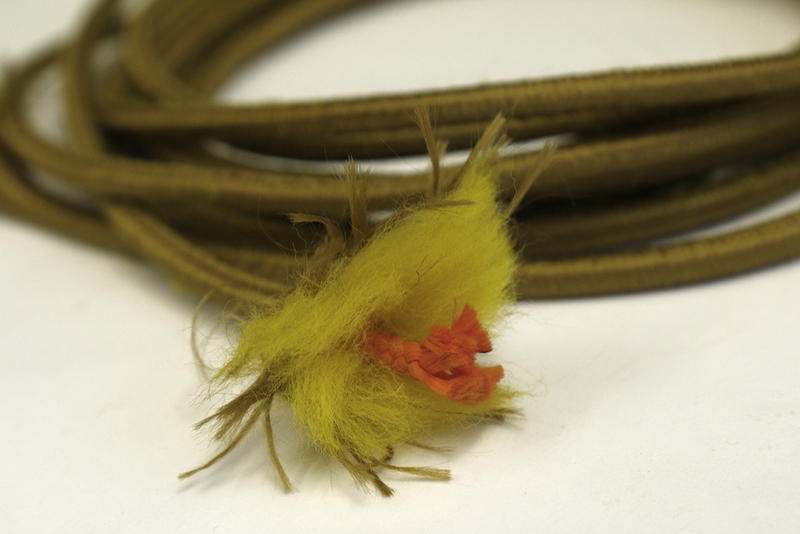 These only show their true beauty once the fibers get threadbare. 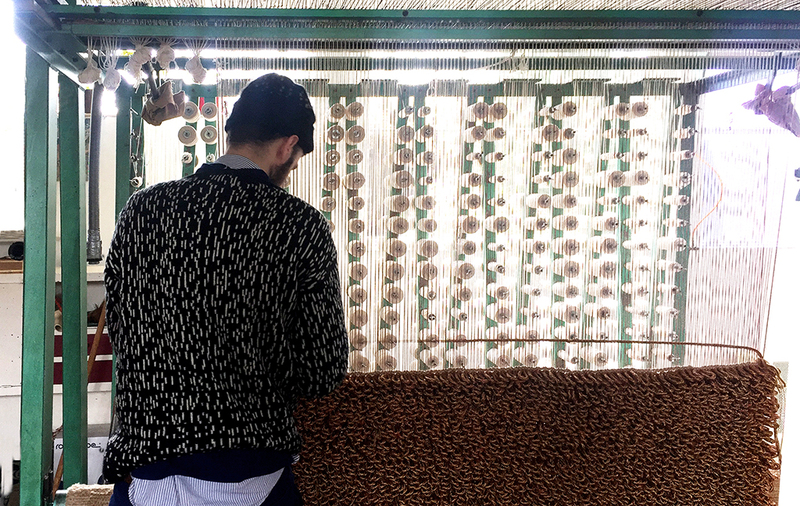 When used intensively, the top layer of the yarns starts showing wear, revealing the underlying color. The areas that are walked on most frequently will wear out the most, while the other areas will not show any or hardly any wear at all. 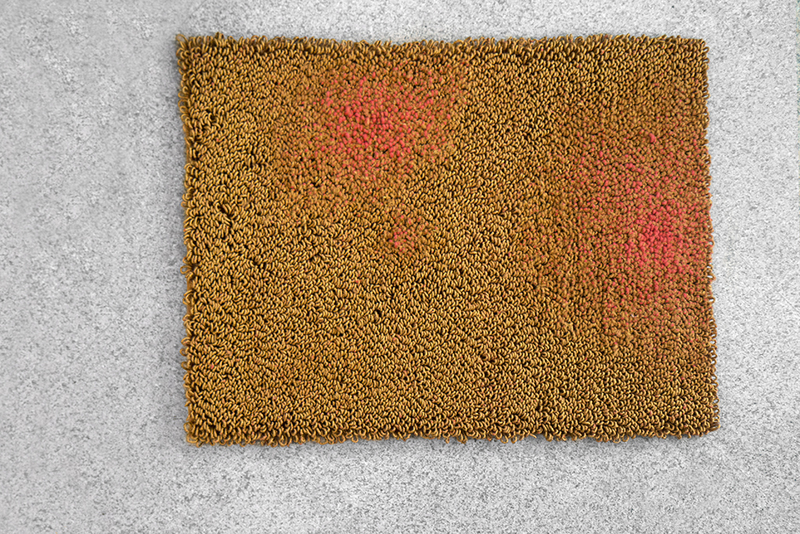 This turns the carpet into a graphical representation of the user’s activities and makes each carpet unique and personal. 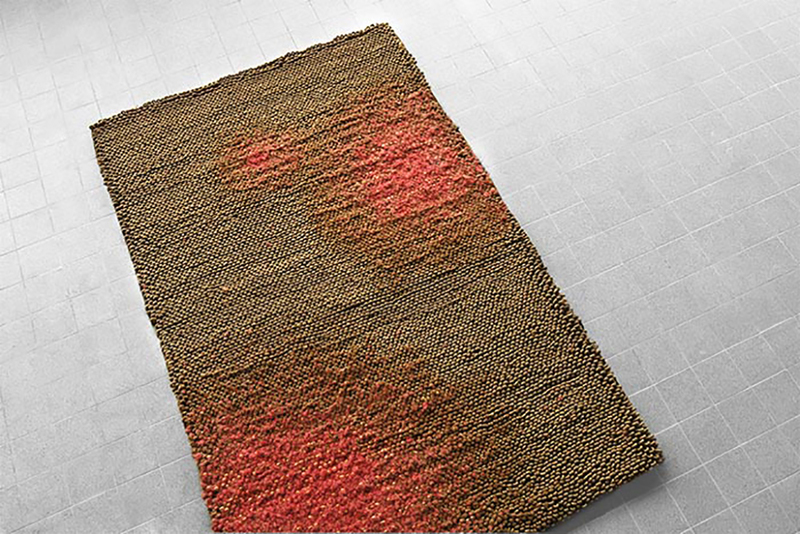 The collection The Ripening Rugs consists of three models that are available in different sizes.